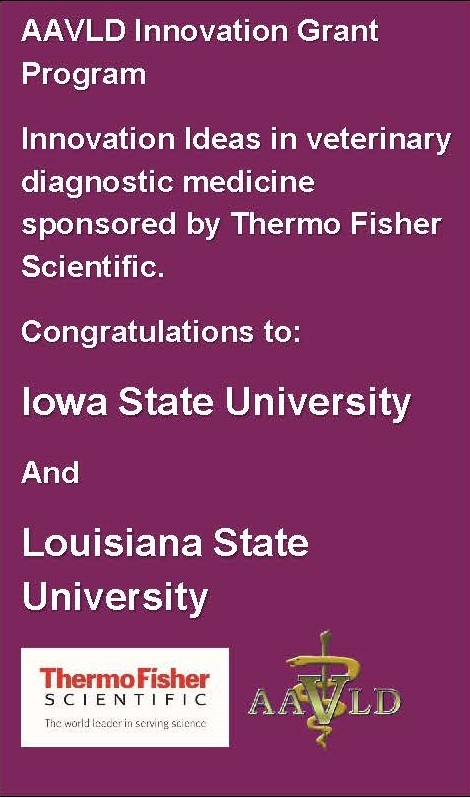 Congratulations to the 2018 winners of the AAVLD / Thermo Fisher Scientific Innovation in Veterinary Diagnostic Medicine Grant Program. 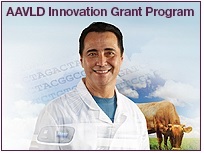 The American Association of Veterinary Laboratory Diagnosticians (AAVLD) andThermo Fisher Scientific joined forces to promote a new grant program in support of innovation in veterinary diagnostics. The call for proposals received an enthusiastic response and a large number of high quality applicants. 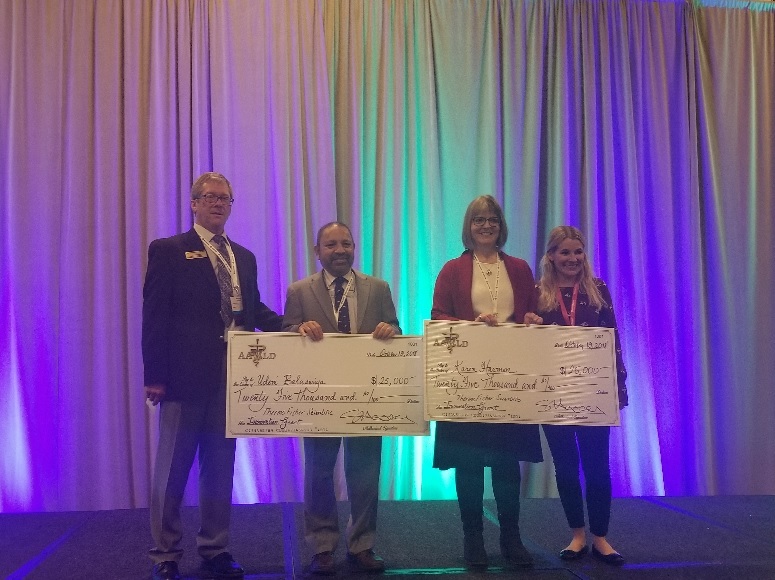 During the Annual Meeting in Kansas City, MO the grant winners were announced. A Pilot Project: Rapid Identification and Untargeted Sequencing of Viral Pathogens in Clinical Specimens Using Nanopore Single Molecule Sequencing (MinION). Development of PCR-clamping assays for the preferential amplification of wild-type PRRSV virus in a vaccine-like / wild type mixed infection in swine clinical samples.